If you have not already done so, sign up for our newsletter to receive tips about aquaponics, survival, and related topics as well as get your FREE wellness report. Aquaponics is a way to grow food plants while raising fish. The plants and fish in an aquaponics system work together to help each other grow. This method of cultivation began a long time ago in the Aztec and Egyptian cultures. Although this farming technique has been around for a while, it is still very useful in our world today. With aquaponics, any plants that need to grow are grown hydroponically. This means that the plants are grown without the use of soil. The plants are planted in a way so that their roots are placed in a tub of water. In an aquaponic system, fish are kept in tanks and their waste is used as a fertilizer for the plants you are growing. In order for this to happen, the waste from the fish tank is moved to the tub where the plants roots are. The plants aren’t the only ones who reap the benefit of this. As the plants take in the nutrients from the waste, they are cleaning the water. Once the plants have removed all of the fish waste, the water can then be used for the fish again. This means that raising the fish actually requires less water than raising fish in another form such as fish farming. Here is a nice example of a simple home aquaponics system. Click on the links below this article to see reviews of the 3 best systems. The benefits of an aquaponics system are numerous. One benefit is that you gain plants that are grown without the use of chemicals. Since the waste is a natural fertilizer, no extra chemicals need to be given to the plants. Another benefit is that this system uses far less water than your traditional ways of growing plants. Since the water is recycled, the only water that needs to be added to the fish tanks occurs when water has evaporated. This system can also save you money. You won’t need to pay for more water, pay for chemicals, or soil. Your plants will grow with as little cost as possible. 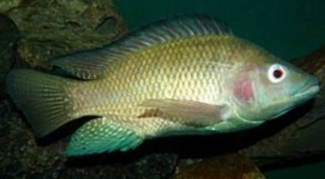 There are many types of fish that have adapted well to aquaponics systems. fish are more tolerant of the changing conditions in the tank such as the removal of waste and the adding of the cleaned water. The plants that work the best for these systems are mostly herbs and leafy greens. Some of these plants include bok choy, basil, spinach and chives. These plants don’t have very high nutritional requirements for them to grow. The fish waste is full of nitrogen which results in lush foliage. Generally, most plants can be grown with an aquaponics system, although some plants require a more established system rather than one that’s just starting. The only plants that don’t tend to do well are the plants that are based on their roots, such as potatoes or carrots. Since their is no soil, these plants tend to grow oddly and are difficult to harvest. Aquaponics is a great way to kill two birds with one stone. You’re raising fish in a clean environment, while using their waste to grow plants. This cultivating system is great for the environment and helps to provide produce without any chemicals. It’s a real win win for everyone. How to Get More Information and Get Started! One of the quickest and best ways to get started with your own aquaponics system is to use a step by step guide. Aquaponicssurvivor.com has tried to make that easy and timely for you by providing you with reviews of three of the best programs designed for people like you who want to learn more about “aquaponics” and even set up a system of your own. If you are ready to get started with your own Aquaponics System, you can click the banner below and you’ll be on your way! Get Aquaponics 4 You Now! Click banner to learn more! 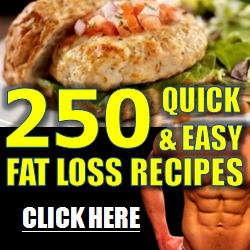 Fitter U Click on banner to learn more!